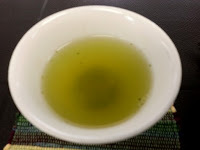 On July 18th, Tatsuo Tomeoka (Owner, Charaku Fine Japanese Tea and WaSabiDou) guided us through a tasting of green teas from Japan's Spring harvest. 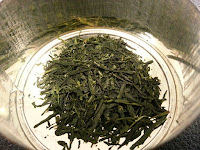 These teas plucked during the first flush are called shincha (new tea). 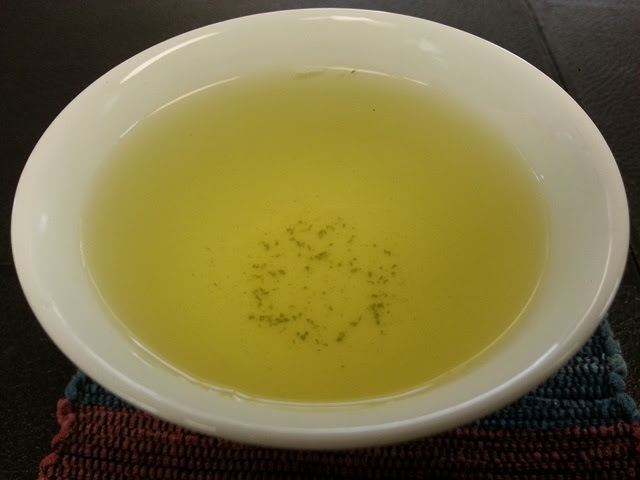 Tatsuo explained how the behavior of steam in the yuzamashi (water cooling pitcher) can indicate temperature. 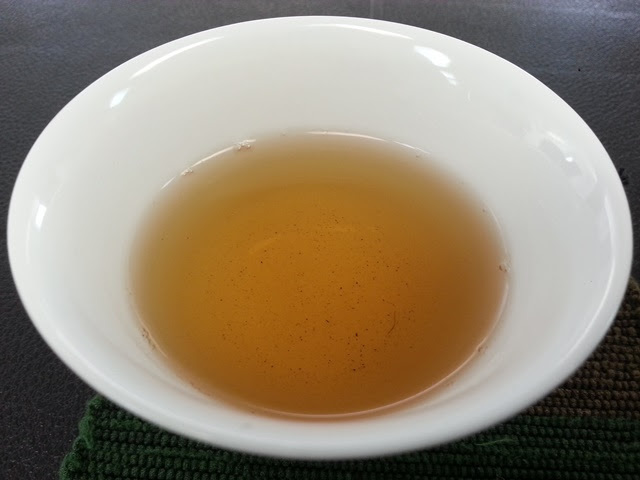 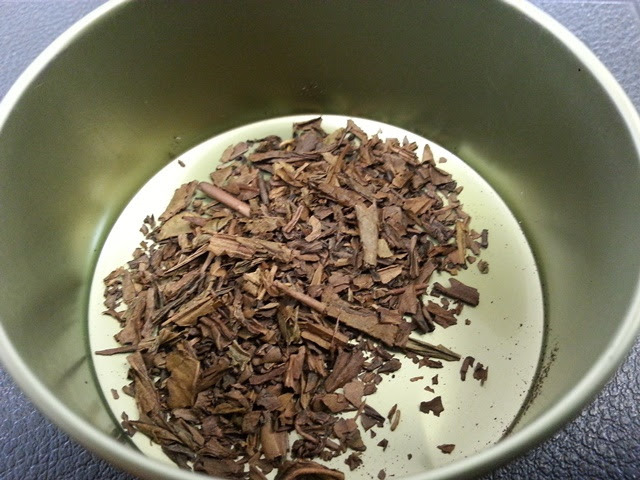 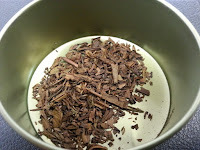 Steam billows upward with near-boiling water temperatures, ideal for hojicha or bancha. 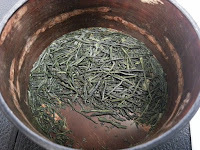 Water at temperatures around 140°F will have little or no steam, ideal for gyokuro. Steam moving to the side at an approximate 45° angle indicates temperatures around 175°F - 185°F, ideal for sencha. 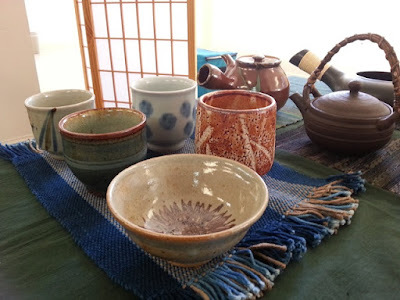 We learned about Japanese teapot styles including the side-handled kyusu based on classic Chinese teapots, the top-handled dobin, and the handleless houhin used for making gyokuro. While learning about teaware and preparation methods, we tasted teas representing a wide variety of growing regions and production styles. Asamushi (lightly steamed) Sencha from Oita Prefecture on Kyushu Island. 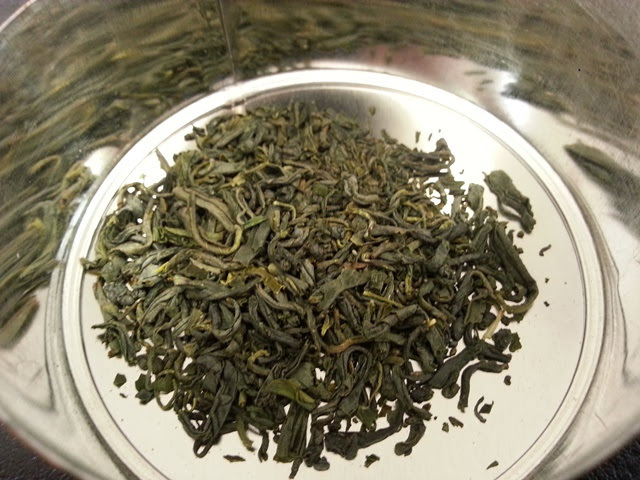 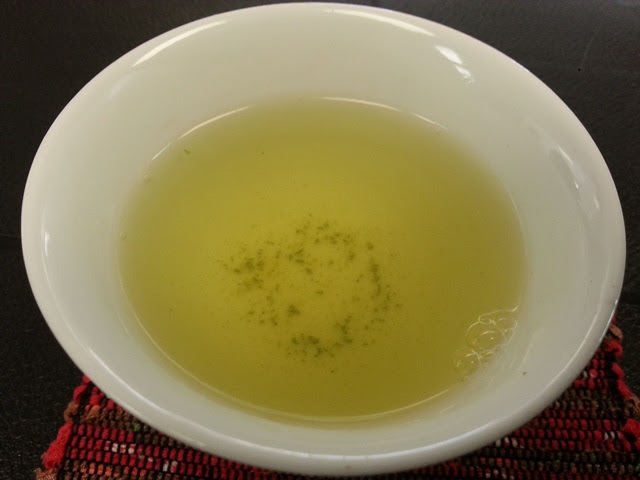 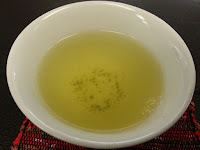 Chumushi (medium steamed) Sencha from Hayato in Kagoshima Prefecture. 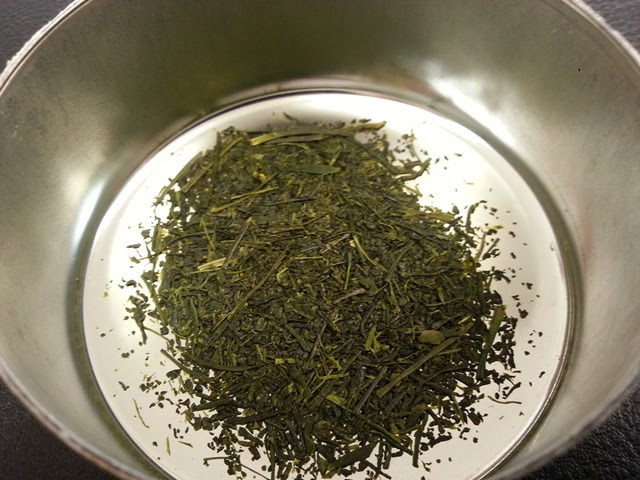 Fukamushi (long steamed) Sencha from Shizuoka Prefecture. 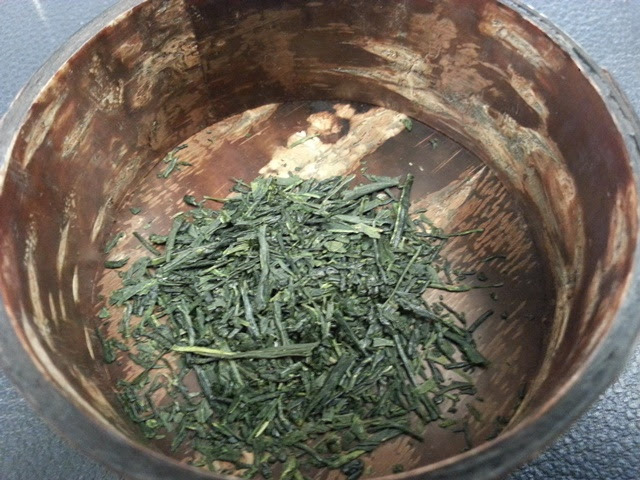 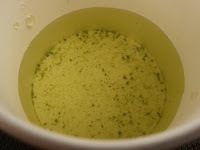 Gyokuro from Yame in Fukuoka Prefecture. 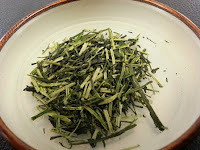 Kamairi (pan-fried) Tamaryokucha from Gokase in Miyazaki Prefecture. 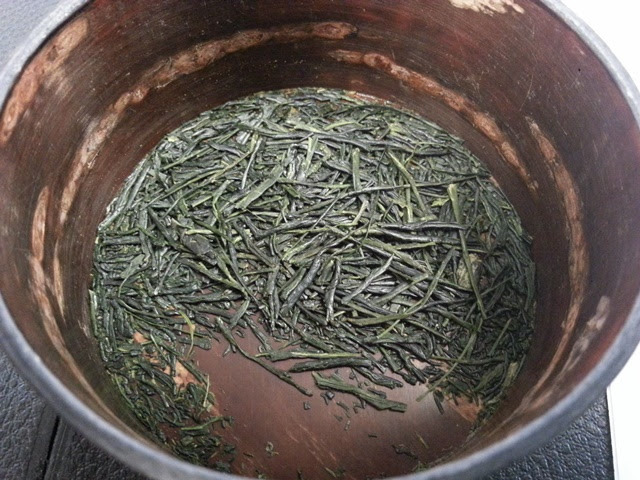 Karigane Kukicha from Asahina Valley in Shizuoka Prefecture. Genmaicha from Kawane in Shizuoka Prefecture. 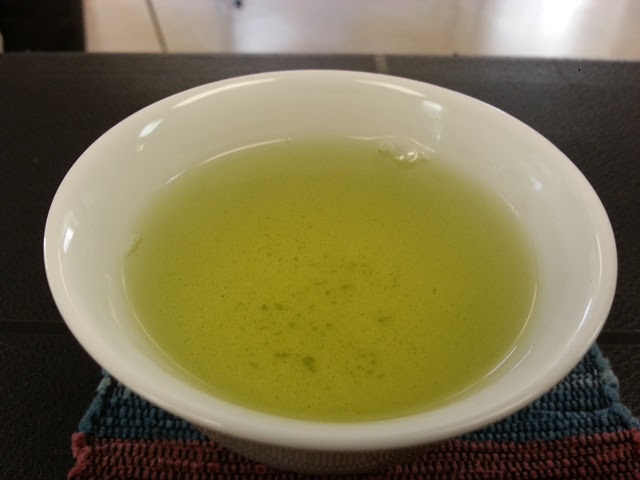 We moved from loose leaf tea to powdered tea, learning about some of the most useful tools for preparing matcha. 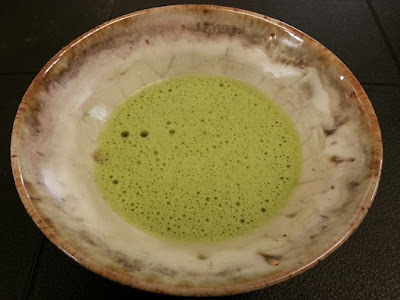 Chawan (tea bowls) used to serve matcha come in a variety of shapes and styles that may indicate the season and the importance of the guest or event. Tatsuo provided examples of the popular well-shaped ido chawan, the deep-sided fuyu (winter) chawan, and the wide and shallow natsu (summer) chawan. Chasen (tea whisks) have between 60 to 140 tines and are cut from a single piece of bamboo. They are ideal for whisking matcha as they produce the smoothest results. 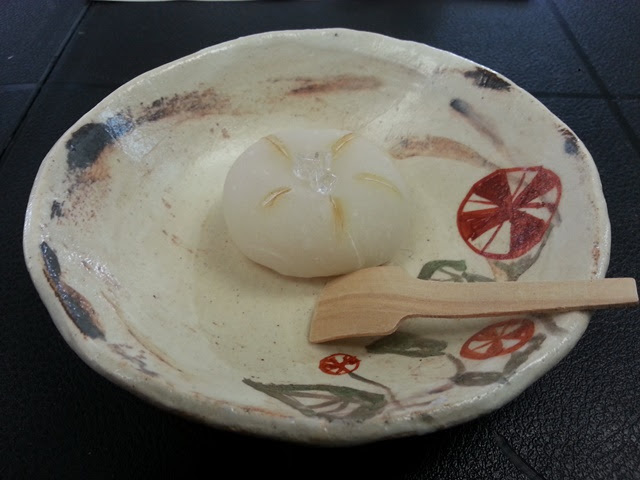 Most chasen now come from China, though there are still chasen makers in Japan. 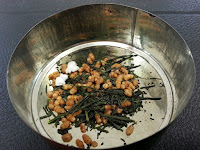 Chashaku (tea scoops) are one of the most important implements in tea ceremony. They are usually presented for viewing after tea has been prepared and are often given a poetic name. 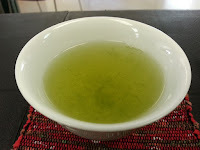 As our tea tasting adventure neared its conclusion, we were treated to seasonal wagashi (tea sweets) from Tokara and matcha from Yamanashi Prefecture. My matcha was presented in a beautiful natsu chawan made by artist Sachiko Furuya. 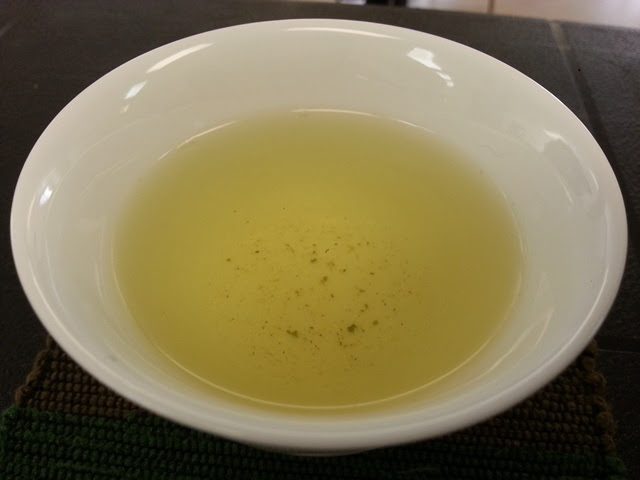 The event concluded with a cup of refreshing cold-brewed Kukicha, preparing us to face the record high temperatures outside. 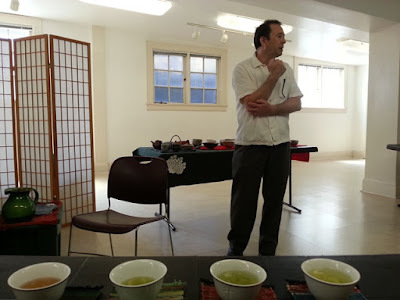 Thank you to Tatsuo Tomeoka and the Northwest Tea Festival volunteers for putting together this fantastic event! It's interesting to visit this kind of festival. 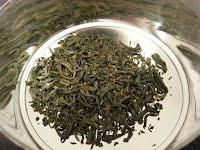 I think there was a lot of opportunities to try the finest teas. I am a big fan of japanese teas but i've tried only gyokuro and matcha.